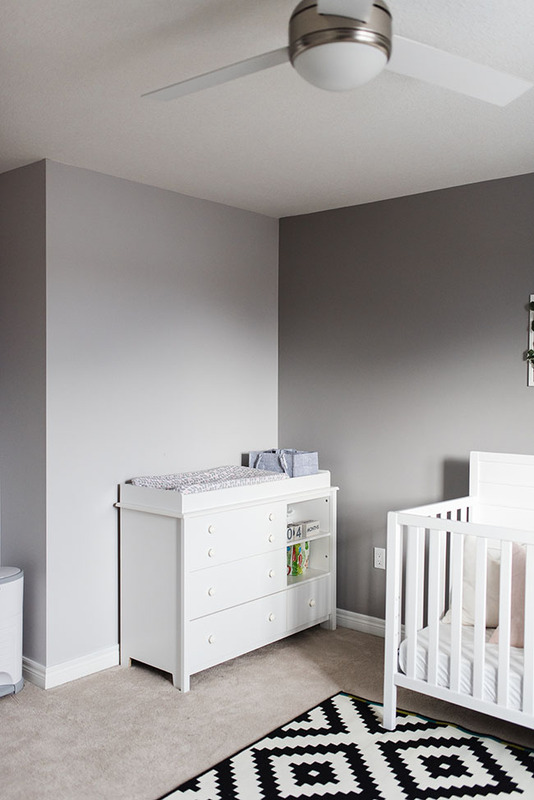 Prepare for your little one’s arrival by creating the perfect nursery that works for both you and your baby. When you’re shopping, focus on the following six categories. They’ll make your life easier, they’ll make you more comfortable, and they’re even good for your baby too. 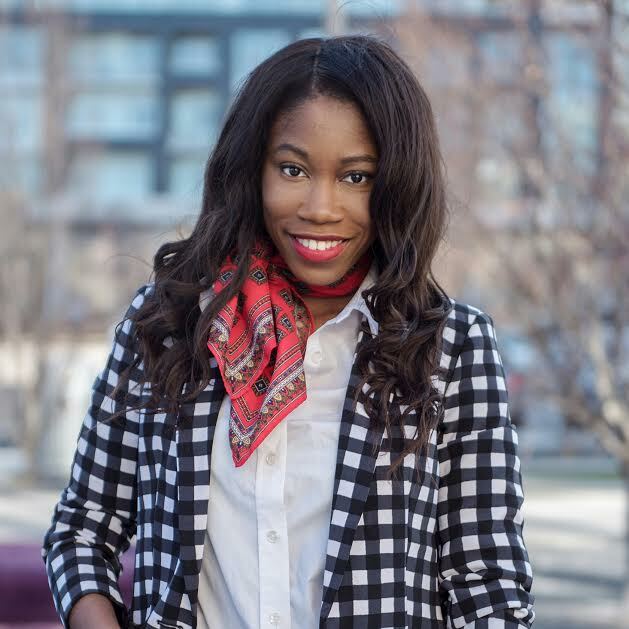 Here are my baby nursery decor must haves in six steps with the help of designer and friend Brenda Danso at BD Interior Design. 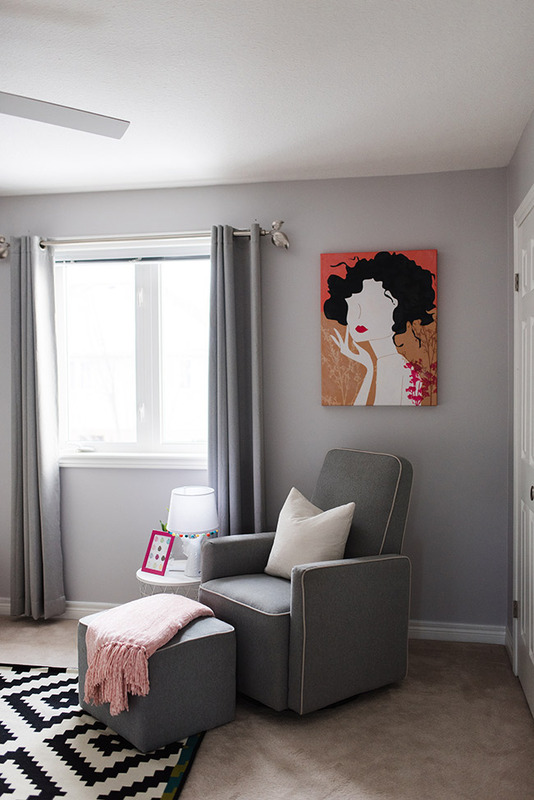 We created a functional, modern, and transitional nursery that my daughter can grow into for our new home. My daughter’s room still has a lot more finishing touches to add but I wanted to share a reveal anyway. There are a lot of great crib options out there. When you’re weighing pros and cons, please consider a crib that is transitional. You don’t want to have to spend your money twice! Your baby should be able to transition from crib to toddler bed to full- size bed with the same purchase. We went with the Carter’s® by DaVinci® Morgan 4-in-1 Crib from our favorite baby store buybuy BABY. I have mentioned in many posts that buy buy Baby is our go to baby store and we initially set up our baby registry there. You’re going to be spending a lot of time in the glider with your baby. Therefore, a comfortable and stylish glider is needed. I love our DaVinci glider from buybuy BABY. Lastly, make your feeding area a place that you want to be! 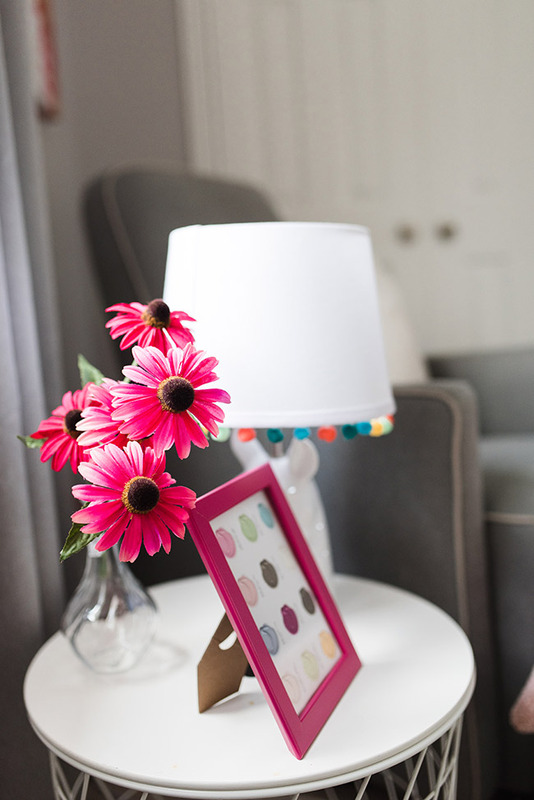 Investing in a small, functional nightstand should be your next priority. Don’t make things harder for your future self. Get a good feeding set up right away. The best change tables are easy to wipe down, have storage and can transition as your baby grows. Ours was gifted to us but can be converted into a dresser when our daughter grows by removing the extra pieces for the change table. There are a million blog articles that I can write on the topic of how much “stuff” babies have these days. Unless you’re committed to minimalism, you’re going to have a lot of stuff so focus on storage solutions that make you happy. Here we went with a bookshelf with extra storage. 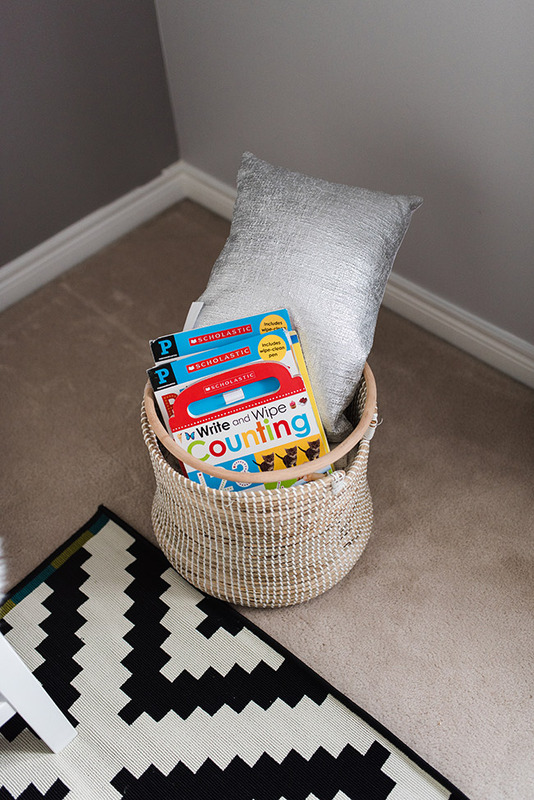 I also used a beautiful basket as storage as well. The best way to express your tastes in a nursery is with the wall art. This is something you’ll rarely have to clean, it’s not permanent, and unlike the blankets/toys/etc., the baby won’t be able to get a hold of it. 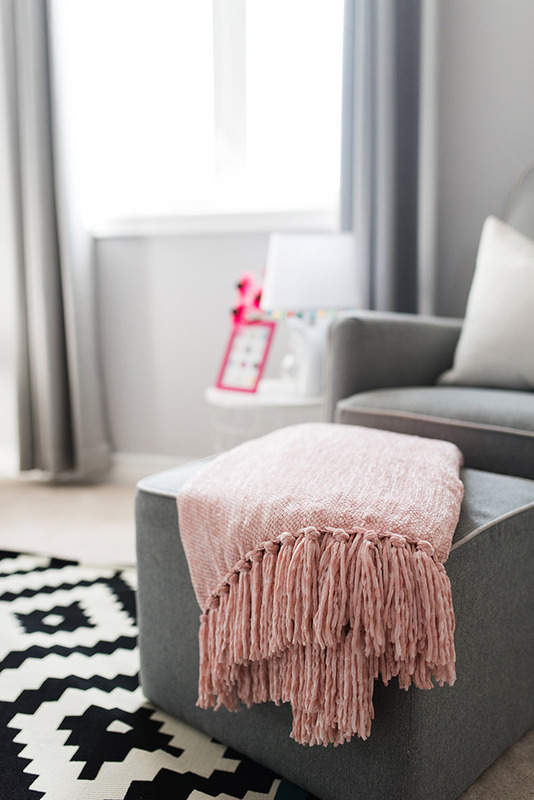 Accessories make every room in the house, and your nursery is no different! To tie the room together, focus the accessories around one theme. The theme can be broad. You may not be able to find a great transitional crib in your style, but you can certainly put your style into a rug that suits your tastes. Blankets, your pillow in your glider, and the bits and bobs that make up a room should bring it all together. Pro tip: Use baby items that you already have to accessorize the room. Here, I used my daughter’s books and toys. Baby nursery decor can be as varied as you want it to be. 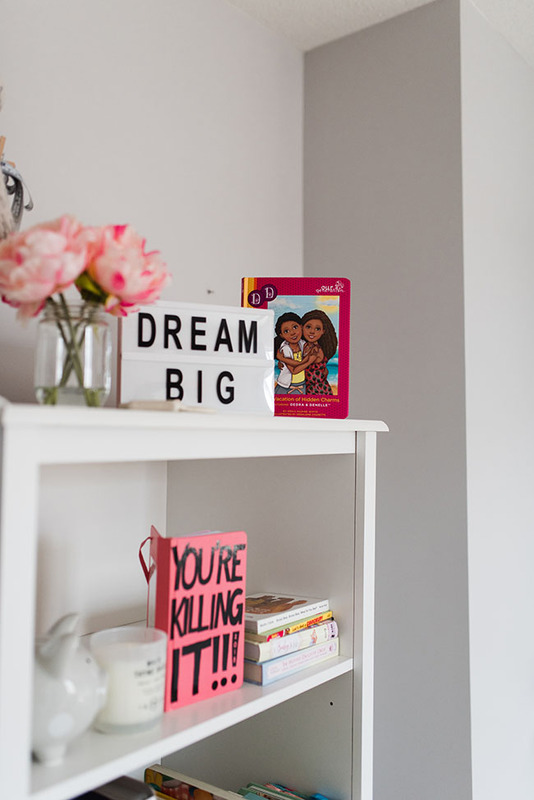 Just remember that your baby doesn’t have any preferences yet; when you’re designing a nursery, it’s really about you. Give them what you want them to have: comfort, art, and beauty, but don’t sacrifice your own comfort. This post is in partnership with buybuy Baby babyhood program. However all opinions are my own. I just had a baby and these are definite must haves. 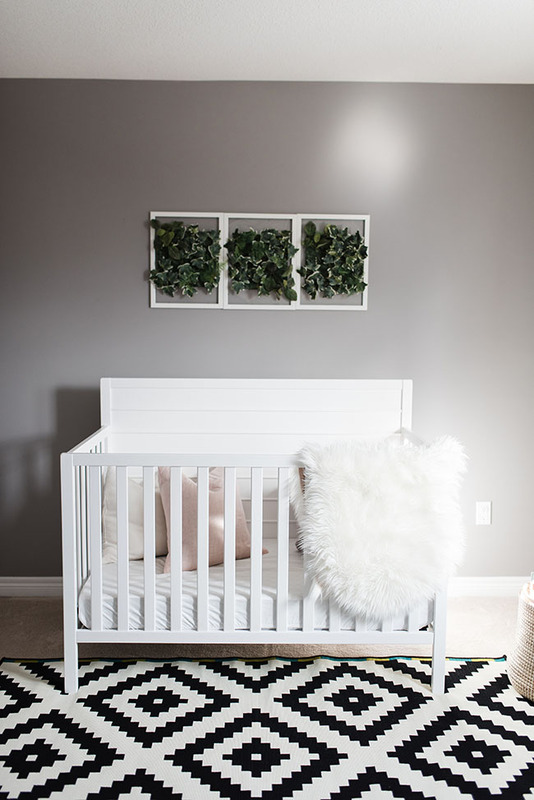 This nursery is gorgeous too! 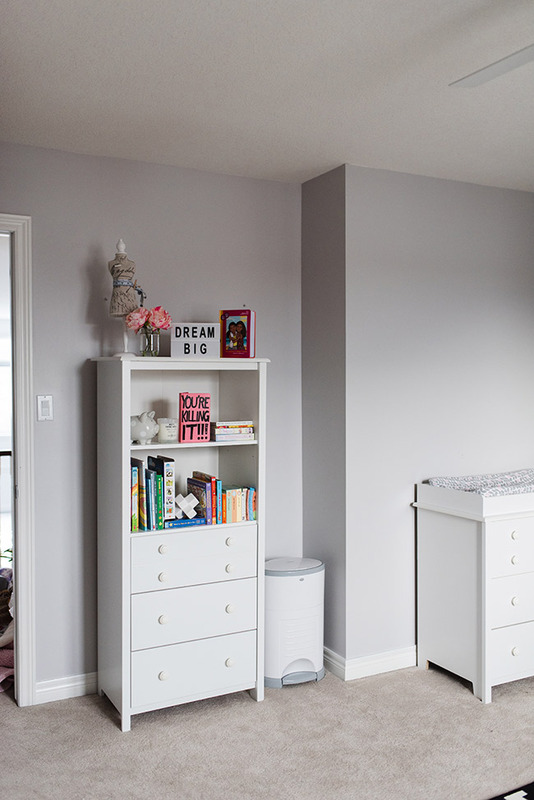 I love this minimalist but glam chic room in this nursery. I also love the greenery wall decor that was a unique touch!